Following a troubled start, the Nintendo 3DS has at last “turned the corner” according to Wedbush Morgan analyst Michael Pachter. News earlier in the week confirmed that the handheld had soared past four million unit sales within North America, a figure that it achieved faster than the Wii. “I was surprised that it sold so few at the $249 price point, and its sales to date are exactly what I originally forecasted at that price.” he added. EEDAR Vice President Jesse Divnich agreed with such comments, although warned of Nintendo needing to ensure that key software releases continued. “With the strong rebound in 3DS sales, I think Nintendo is clear of the woods for now,” Divnich stated. “Going forward, however, we will closely be paying attention to software attach rates. Selling hardware is great, but it is only the first step. The health of any hardware is directly correlated to the amount of software consumers buy. Piers Harding-Rolls, of research, publishing and consulting firm Screen Digest, was also keen to warn of complacency. However, all three were unanimous in saying that it would be unlikely that the handheld would be able to achieve the dizzy heights of the Nintendo DS’ lifetime unit sales, which are currently over 150 million worldwide. “I think anything catching the Nintendo DS will be incredibly difficult,” Divnich commented. 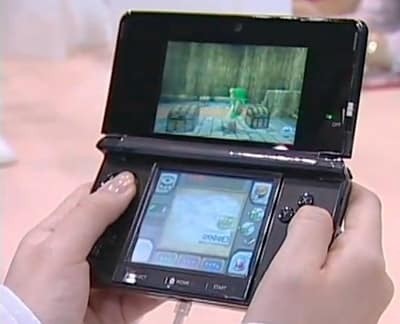 “The key to catching the Nintendo DS would be appealing to the ultra-casual consumers, those who originally bought the Nintendo DS for games like Brain Age and Sudoku, which are now prevalent and cheaper on other platforms – tablets and mobile. Pachter echoed such comments, explaining: “The emergence of smartphone games is eroding the casual market’s support for dedicated gaming devices, and I’d guess that 30 per cent or more of DS sales were to casual gamers. That makes it tough to compete.